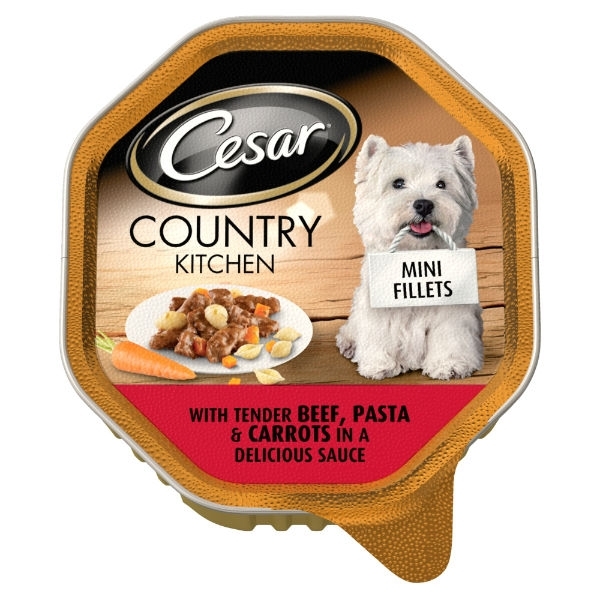 Cesar Adult Dog Food Foil Trays with Beef, Pasta & Carrots is a complete food that your small dog will love. The 150g portion is the perfect amount to keep your small dog healthy and happy. Feeding Guide (approximate per day) Dog's Weight 3kg: 2 Trays Dog's Weight 5kg: 3 Trays Dog's Weight 10kg: 5 Trays. An individual dog's requirement may differ from this guide according to the level of activity, breed and age.